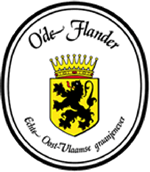 O’de Flander gets its definitive caracter in East Flanders. It’s a qualitative and strong geneva, with an alcohol percentage of 35° or more. Belgian regulation speaks of geneva starting from 30°, O’de Flander genevas have stricter rules and need te have a higher percentage. A grain eau-de-vie is the base of a geneva. This is a clear, colourless brandy that is produced by means of fermentation and double distillation. It is distilled out of a batter of wheat, rye, barley or maize. Through certificates of origin, manufacturers proof they use the correct combination in their genevas.